This is the first “black-tufted” Double-crested Cormorant I have ever seen. I took several photos just for the record, and I asked several local Southern Californians about the bird, without success. Finally I asked Paul Leman, who is not only a Southern Californian (at the moment), but perhaps the best known authority on bird distribution in North America. He is responsible for the majority of the range maps in almost all the field guides to North American Birds. He was able to tell me that it is only relatively rare for a Cormorant to have black tufts in breeding plumage instead of the bright white eyebrows of their fellows. 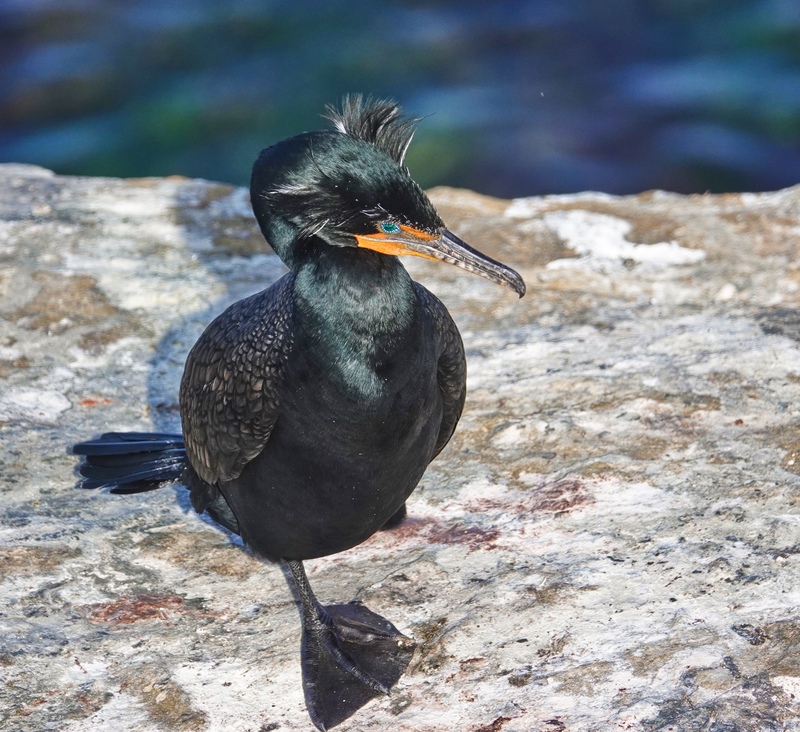 He estimated that the number of black tufted Cormorants was certainly under 10%, but you do see them in any large group of Cormorants. So much for my chances of having a new species named after me. 🙁 Still, they must be rare enough, or invisible enough, so the rest of my southern California birding friends are unaware of them. Sony RX10iv at 600mm equivalent. Program mode with my custom birds in flight and action modifications. 1/1000th @ f4 @ ISO 200. Processed in Polarr.